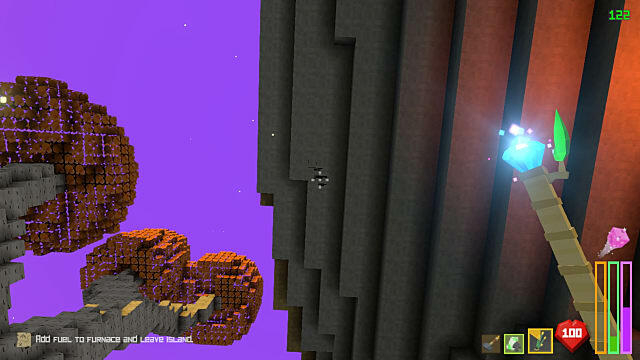 Rogue Islands is an FPS roguelike with Minecraft exploration and mining elements. You take on the role of a Gnome who is attempting to defeat the five Lords of Torment and save both his race and the world from corruption. 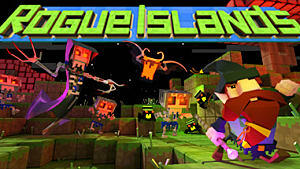 One of the newest additions to Rogue Islands, alongside Nightmares, is the ability to craft a Scroll of Teleportation. These scrolls allow you to teleport back to the safety of your ship if a battle is about to turn sour or, most importantly, if you have the invulnerable Ghasts chasing you. This guide gives you everything you need to know about how to craft these extremely useful scrolls. 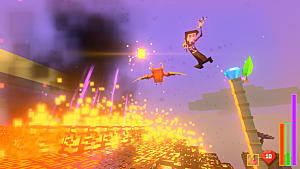 Unlike with nightmares, the materials required to craft Scrolls of Teleportation remain the same no matter the difficulty setting you to choose. To craft these lifesavers, you will need 1 briny moss and 20 spirit dust. While spirit dust is relatively easy to obtain (you simply have to defeat enemies who then drop the dust), the briny moss, however, is a whole different story. While the Gurgleweed required to craft nightmares has become slightly easier to find with the recent updates to Rogue Islands, which gives them a glowing effect, Briny Moss does not have such an effect. To find it, you really need to know where it spawns, otherwise, you are relying entirely on luck. Much like the bloodcap mushrooms in Rogue Islands, Briny Moss will only ever spawn on one type of terrain: rock. While the bloodcap is big and easily spotted because of its bright color, the Briny Moss is black, quite small, and easily overlooked. To find it, you will need to keep an eye on the ceilings of caves, as the moss is found dangling from the very top of these areas. Caves are generally found inland on each of the islands, and they vary in size and depth, sometimes making it hard to reach the sought after material. When you do find one, do NOT attempt to get it to drop by shooting it. Just like food items, such as corn cobs and squashes, the Briny Moss is also destroyed upon taking damage. If it is too high up, even if your mana doesn't allow you to jump higher, search the island for more mana or simply find another Briny Moss that your mana will allow you to reach. You have found the Briny Moss and have killed enough enemies to have collected the spirit dust needed. Now it is time to be rewarded for your hard work and craft one of these handy items. 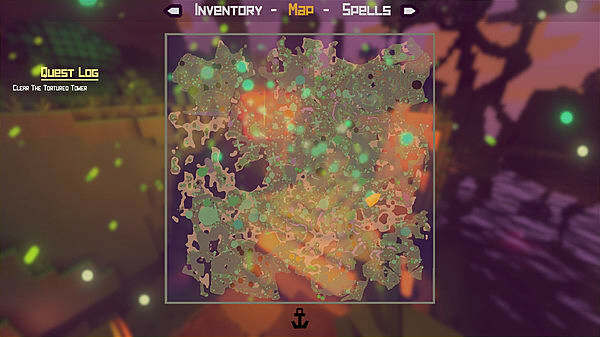 All you need to do is open your inventory and click on the Briny Moss. 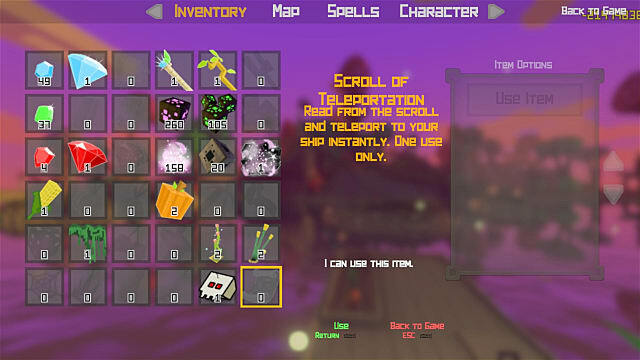 In the small window on the right side of the screen, you will see the option to craft the Scroll of Teleportation. 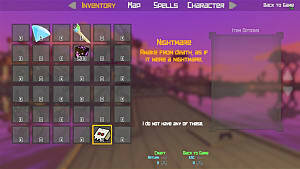 Simply click on it and the scroll will now be in your inventory, sitting in the very bottom right slot. You now have all the information you need to craft yourself one of those all important Scrolls of Teleportation. Make sure to always keep one in your inventory as often as possible, because you never truly know when they will be the difference between life and death.